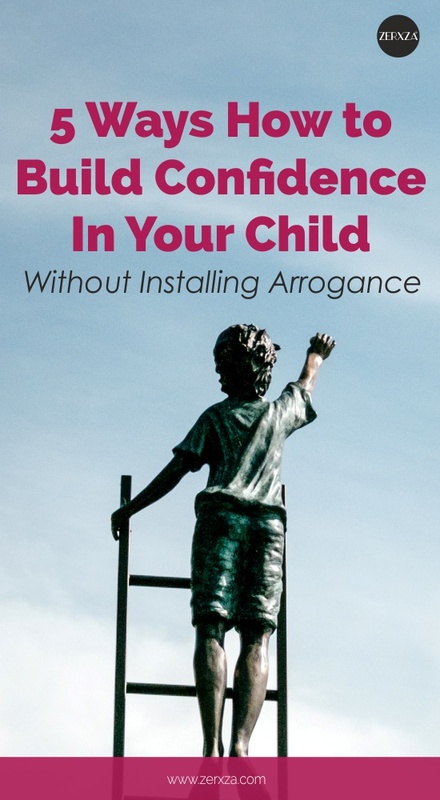 Lack of confidence is a massive problem that hunts thousands of adults in their daily life, so it’s clear that one of the tasks on hand for you as a parent is raising confidence in your child. As Albert Bandura, a psychologist at Stanford University has said, self-efficacy beliefs determine how people feel, think, motivate themselves and behave. Confidence is strongly tied to success later in life and overall greater happiness, making it a crucial part of your child’s emotional development. Cultivating confidence can be tough though since there’s a fine line between being confident and being overly cocky. Arrogance is almost a surefire way towards failure, while high self-esteem is a supportive and empowering trait that helps to move forward in life. Another tough part of the whole confidence formula is the current society. According to the National Report on Self Esteem, 98% of girls feel there is immense pressure from external sources to look a certain way. Instagram and other social media outlets just fuel that low self-esteem as teens constantly compare themselves to the images found online. So how to make sure your child grows up to be a confident young person who isn’t shaken by comparisons or failures? Here are a few things you as a parent can do. Scaffolding is a common teaching method that basically means building a framework step-by-step towards learning something. For example, you wouldn’t start learning math from the Pythagoras theorem, instead, you would start from the numbers. The complexity increases over time. You can use the same strategy to build more confidence in your child since self-esteem can increase whenever your child experiences empowering emotions after fulfilling a task. Tackling an overly complex task and failing, however, can set up the child for confidence issues. There’s a big difference between telling your child to bake a chocolate cake from scratch without any help and letting your child mix together flour and milk. While the first task will almost certainly fail and discourage your child from even trying new things at all, the second task can end with satisfaction and positive emotions. To empower your child, you can give her small tasks that gradually become more complex. For example, today she can mix together flour and milk, tomorrow she can whisk the eggs and the day after that, she can pour the batter into the cake tin. Small victories are the key! Carl Pickhardt, the author of “The Future of Your Only Child” and many other parenting books, says that over the long haul, consistently trying hard builds more confidence than intermittently doing well. Efforts matter more than winning and your job as a parent is to encourage your child by applauding the efforts. For example, when your child competes on a contest that he’s very excited about but ends up losing, applaud the fact he took part and got a great experience out of it. As many wise people have said, the journey is more important than the destination. The main rule is to give positive feedback and keep your child trying and improving, encouraging the efforts and helping her to move towards her goals. Children work hard to please their parents, so nothing discourages them more than their parent throwing harsh criticism towards them. Parental judgment can be so detrimental it might follow them throughout their whole life, mess with their future relationships, career and anything else in life. If your child is afraid you’ll react badly, you’ll be disappointed or you’ll criticize their efforts, they’ll end up in a point where they won’t even try anything new, just to avoid disappointing you or causing negative emotions for themselves. Their self-worth and motivation can be affected by that harshly for years. Instead of saying “You should have practiced more”, say “Practice makes progress!”. Keep an eye on your tone and the words you say since sometimes, the delicate confidence can crumble if you’re harsh or thoughtless. It’s understandable you worry about your child and if possible, you’d probably like to wrap her in a blanket and never let her experience anything bad in the world. However, by sheltering your kid too much, you’re not letting her become competent herself which in the end will hurt her far more than the mistake she might make when she’s young. To grow confidence in your child, first, you need to grow confidence in yourself too. Remember how you let go of your child when she took her first steps? You need to do that again and let go of your anxiety. Let her go her way and do mistakes. What’s important is that you’ll be there to guide and support her. What’s more, try to keep your own personal thoughts aside when it comes to worrying about the outcome. If your child sees you’re worried, it will undermine her confidence as well since she starts finding things that might be wrong. Even if you are worried (and you probably will be), don’t let her see that. Life is not always easy and it’s necessary for your child to learn early on how to tackle tougher situations themselves. If you keep bailing her out every time things get tougher, you’ll end up with a needy child who’s not self-sufficient, not to even mention the lack of confidence. However, when your child figures out the solution on her own, it increases her belief in her abilities, which is a crucial part of developing high self-esteem. Of course, you should still be there for your child and offer help and support, but don’t rush in to pick up the slack. Building confidence starts from small things like saying the right words, reacting in the right way, providing support and encouragement. Keep these things in mind and you’ll have your child set up for great success that’s built thanks to high self-esteem.